Home > Life > What If The Frozen 14-Year-Old Actually Wakes Up? The ethics behind freezing a teenager. I’d say you can’t write this stuff, but you can. The movie Idiocracy did it back in 2006, with Luke Wilson’s character frozen and then woken up hundreds of years in the future. Of course, the satirical send-up of our society’s crumbling intellect is probably — hopefully — nowhere near the reality somebody would encounter if woken up in the future. But the patient’s disorientation would, most likely, remain the same. That sentiment was part of the argument against letting a British girl get frozen after her death from cancer at age 14. The young patient — known only as “JS” — petitioned London’s High Court for permission to have her body shipped to Michigan’s Cryonics Institute, a building where they freeze dead bodies with the nebulous hope that one day science will be able to zap ’em back to life. The girl’s argument? She was only 14, she wanted to live, she’d done her research, and any chance at a future cure for her illness (and the subsequent chance at revival) was enough to justify the $46,000 procedure. Because the girl was a minor, the judge had to rule in favor of one parent or the other. (The two were divorced and disagreed about post-mortem arrangements.) The girl’s mom supported JS’s bid for cryopreservation; the dad, not so much. The man makes a point. 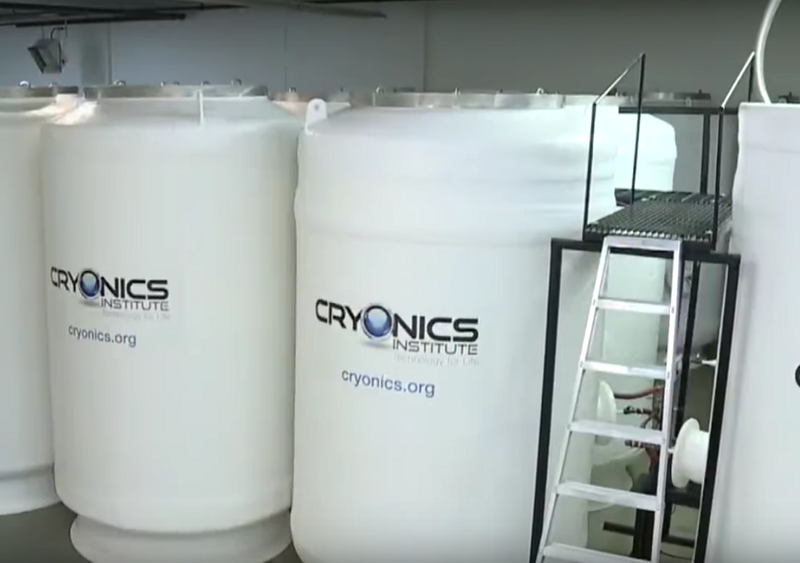 The ethical implications of cryonics are even more extreme in a case like this. Scientists are concerned that people awoken from a centuries-long slumber might retain no memories, or, if they do, would be fundamentally changed in some way (physically, mentally or both). They also point out that waking up to a world in which all your family and friends have died would be something of a bummer.